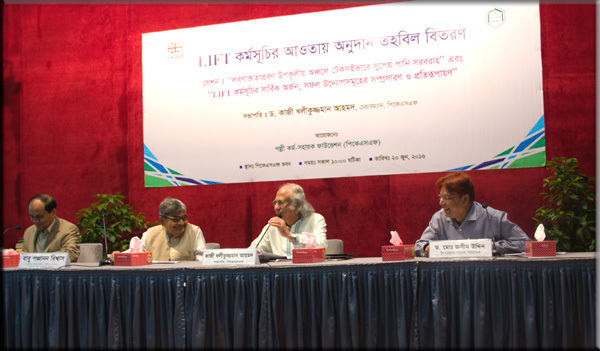 Palli Karma-Sahayak Foundation (PKSF) organized a workshop on 20th June 2016 on distribution of grant funds under Learning and Innovation Fund to Test New Ideas (LIFT). The objective of this project is to encourage and support innovative financial and non-financial initiatives in order to benefit the poor through improvement of livelihood, generation of sustainable employment and development of health and education, and further to help develop new tools for poverty eradication. The UKaid has been financing this project since 2007. Dr. Qazi Kholiquzzaman Ahmad, Chairman, PKSF chaired the workshop. Mr. Md. Abdul Karim, Managing Director, PKSF gave the welcome address. Dr. Md. 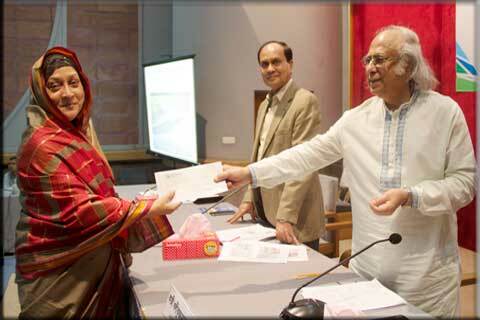 Jashim Uddin, Deputy Managing Director, PKSF made two presentations consecutively on “Learning & Innovation Fund to Test New Ideas (LIFT) – Innovation for poverty reduction” and “Potable Water Crisis in South Western Coastal Region of Bangladesh – PKSF’s Mitigation Approach”. 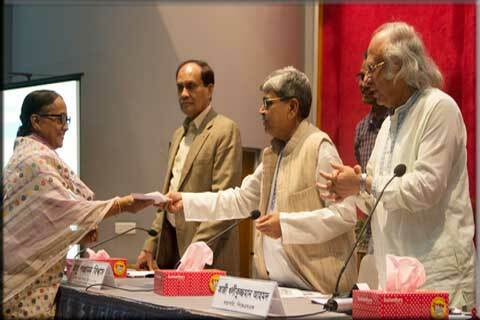 Mr. Panchanan Biswas, the Member of Parliament, was an invited guest who took part in the distribution of cheques. The Chief Executives/representatives of 27 organizations under LIFT program and the representatives of Local Government from different unions of the country were present at the workshop.